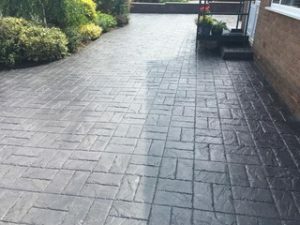 Their are many reasons why you might want to reseal your pattern imprinted concrete driveway or patio, whether you are just smartening the patio or refreshing the look of the front of your house. 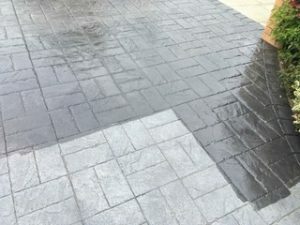 Both are acceptable reasons. 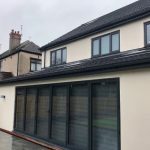 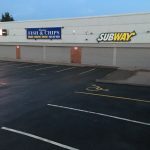 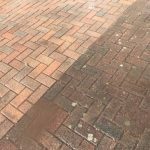 Other reasons may include the regular reseal that is needed every 3-5 years, or you may have had some building work done and the builders have not reinstated the area to its former glory. 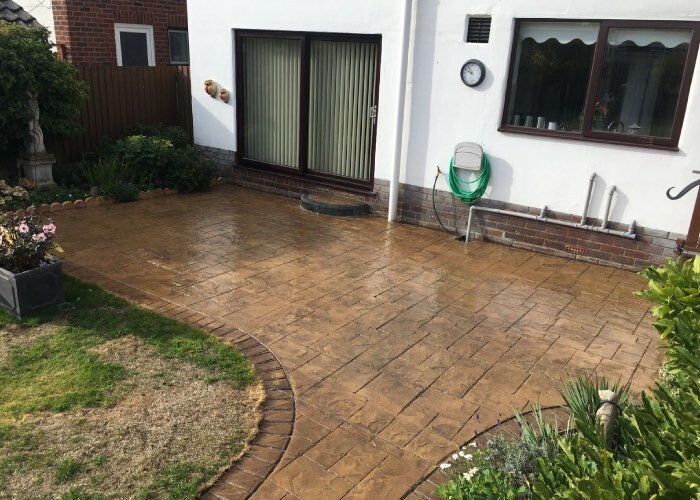 You might have had a gas or water leak and the patch that was removed was not reinstated to a satisfactory standard or you are left to find a contractor to undertake this work. 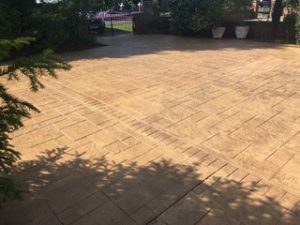 The regular application of imprinted concrete sealer will protect and enhance all printed and stampted concrete driveways and patios. 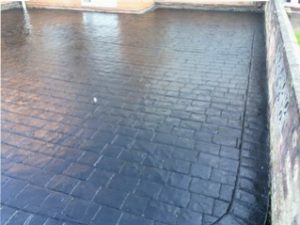 For old or poor conditioned driveways we use coloured tints, crack repair materials and sealer repair fluids. 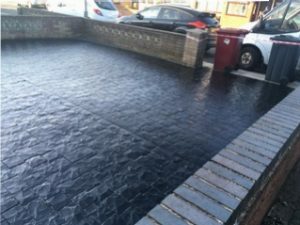 If the concrete is slippery we can supply an anti-slip additive to make the concrete less slippery to walk on. 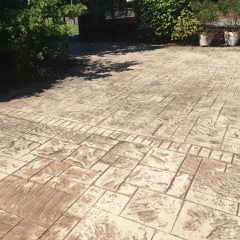 Imprinted concrete driveways and patios should be re-sealed on average every 3-5 years. 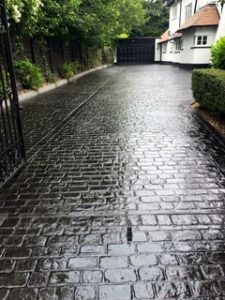 If your driveway looks good when it is wet or damp, then all that is required is top up coats of sealer, we would always recommend two new coats of concrete sealer are applied to acheive a even finish. 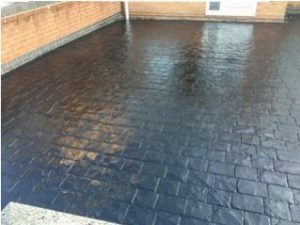 For re-sealing patterned concrete our imprinted concrete sealer SILK is ideal. 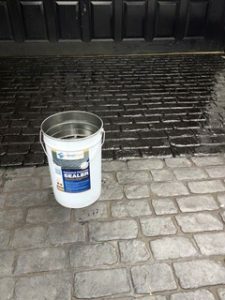 For older driveways or patio’s in poor condition that do not even look good when wet, our imprinted concrete sealer MATT combined with half a tub of colour tint should make it look as good as new. 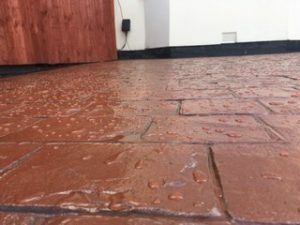 Before you think about re-colouring imprinted concrete, we suggest you send us some pictures first via our email info@ccpw.co.uk or via WhatsApp on 07827296054. 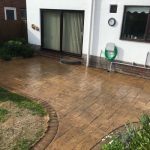 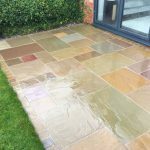 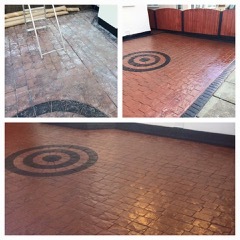 We can then assess whether you need to add colour to the sealer or just use a clear sealer to ensure your patio or driveway looks like new.